July 24, 2011, I have been working here for four days including today. I hope my work for four days will have done something good for people in Tohoku area. Because today was Sunday, the shift was shorter. I met someone who was from Osaka. He introduced himself as a teacher of junior high school. he came to this volunteer center and not only that he was leaving for Osaka that night. he thought he should do something for people who are suffering from the disaster. No matter how short the time you have, having a feeling that you want to help people is more important. Before that, I was thinking in this way: because I have only a few days, I won’t go for volunteer. Well, this changed now. In actuality, many people are volunteering briefly. I have realized this by one happening. New people came to the volunteer center today. I was handed some tasks, and I realized that no one knew how to manage the tasks. Yes, I was senior to the new people(but it is a little weird because I was one of them only two days ago!). As you can see from this observation, only a few people work in the long term. How long you can work does not really matter. Having a feeling that you want to help is more important. Finally, tomorrow is the day I leave for Tohoku. I hope my work would do something helpful and useful for people there. 17 years old, came from Korea three years ago and lives in Fukuoka with his family. 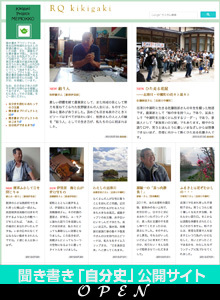 Impressed by the presentation of his teacher who had joined RQ activity in Tohoku, he came to Nishinippori by overnight bus that took him 15 hours, with a feeling that he, too, wish to do something for the disaster-struck people. Presently, he studies at International Course of Fukuoka Daiichi High School. Fluent in Korean, Japanese and English, he plans to study in the U.S. after the graduation. We asked him to write a journal on his 10 day experience as an RQ volunteer to share with us. This entry was posted in HOME, tokyo-en by tamura. Bookmark the permalink.